Whether you are looking to escape the city, or nestle right into the heart of it, we have what you need. Our selections come with a design twist, of course! Eating pretty has never been so easy. From a Banksy chocolate cube with a red ‘balloon’ on the top, to a cake inspired by Damien Hirst’s spot paintings, this afternoon tea is truly stunning in every sense of the word. 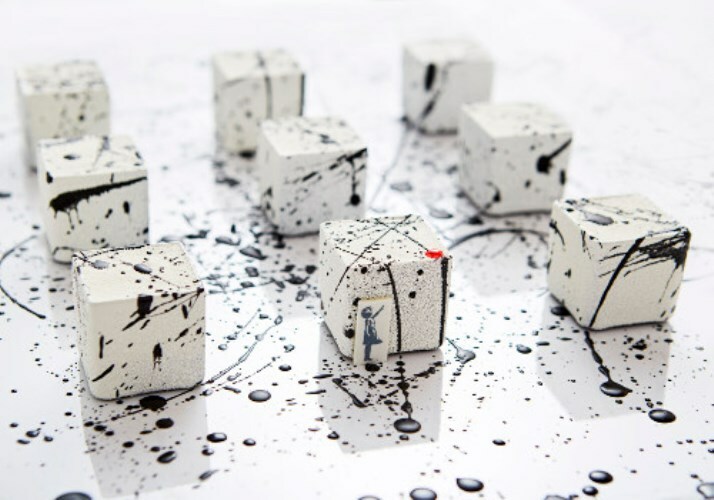 The passion fruit cremeux is inspired by infamous pop art artist Yayoi Kusama, and a layered coconut flavoured cake is baked on Mark Rothoko’s rectangular forms. You really have to see this afternoon tea for yourself to know just how intricate the cake craftsmanship truly is. Enjoy all of these in The Rosewood’s stunning Mirror Room, which is what is says on the tin. Elegant, imaginative and a real treat. Priced at £50 per person. 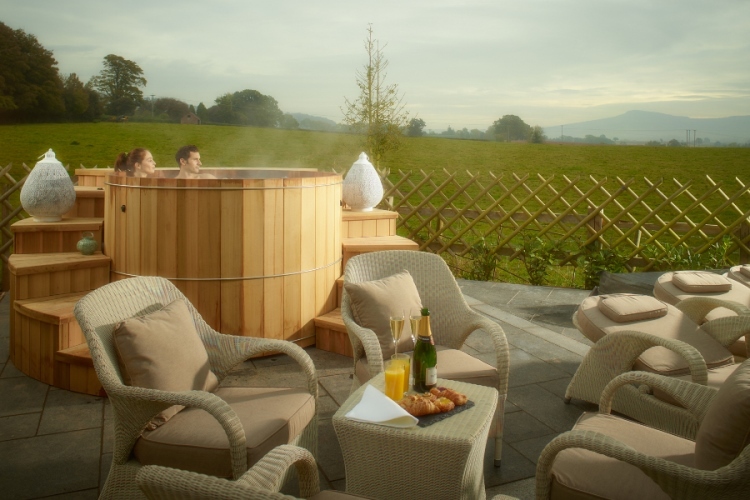 If you are looking for luxury and relaxation combined, then Fishmore Hall in the rolling Ludlow hills is the place to be. The spa is a real treat for design-lovers. The four treatments rooms, two thermal cabins, a steam room, a sauna and an outdoor Cedar wellness pool are all architecturally inspired by the natural world. Named SPAshell, it was created by Spa Creators, renowned design consultants. With a sleek urban design featuring Siberian larch wood and eco-friendly materials, it blends perfectly into the calming hills of the Shropshire countryside. Even the dining is inspired by art. The hotel’s fine-dining restaurant Forelles, led by head chef Andrew Birch, is one not to miss. It serves a decadent six course tasting menu, which featured on BBC’s Great British Menu, as well as an A la Carte treat. All dishes are executed with an artistic eye for a visual treat. We recommend the Scallop Hand Dived Orkney Scallop dish, which is Instagram heaven. Complete your stay with a restful night in one of Fishmore Hall’s luxurious suites. With fresh local milk found in the room’s fridge to make your cup of tea that extra special, to a spacious bathroom stocked with glorious Elemis toiletries, the staff really have gone the extra mile. Room prices start from £275 per night.